At MedTeam Weight Loss, each patient is given a customized plan, created by our Physician, Practitioners and Registered Dietitian. Each plan is tailored to meet each individuals needs including those with special medical conditions. Our practitioners will work with you one-on-one to evaluate, treat and guide you through your weight loss process. 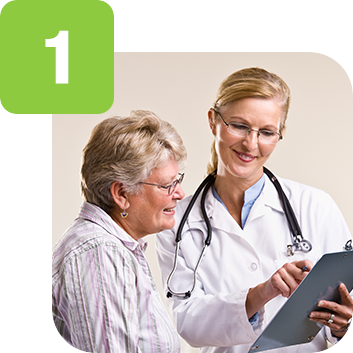 Our weight loss program is designed to deliver the right tools to each patient. We invite potential patients to a FREE initial screening with one of our Practitioners. During this visit, you will be asked to provide a brief medical history, including any prescription or over-the-counter drugs you are currently taking, as well as past weight loss attempts. You will be given a Body Composition Analysis which is a breakdown of your body weight, including fat, muscle and water percentages. The Practitioner will discuss with you your goal for weight loss and how MedTeam Weight Loss can be a part of your weight loss success. During this visit, you will get a chance to meet with our staff, tour our practice and judge if MedTeam Weight Loss is a fit for you and your weight loss needs. There is no obligation to sign up at the Initial Screen. You will be provided with the necessary information to make a decision and you can enroll at any time. Should you decide to enroll in a MedTeam Weight Loss customized diet plan after your Initial Screening, you will be sent for lab work and asked to book a 1-hour consultation with one of our medical Practitioners. During this appointment, the practitioner will review your labs with you, go over your medical history in depth and get to know you personally to better gauge your expectations for weight loss and develop an individual weight loss plan. Depending on your age, medical history and weight loss goal, one of the Programs below will be custom tailored to you. Very Low Calorie Diet (VLCD) An accelerated weight loss program which provides individual, weekly counseling with a medical practitioner. Our practitioners will monitor and evaluate your ongoing progress. They will make any necessary changes to your treatment plan, and adjust your prescriptions and diet when needed to ensure your continued weight loss. Maintenance Program A program designed to help educate you on healthy eating, continued weight loss, and a healthy lifestyle change. Our Maintenance Program is utilized to facilitate patients who need to take off their last several remaining pounds. Once a patient reaches their goal weight, we will help them to advance their caloric intake to achieve a healthy, nutritious diet and a stable weight. New Moms Program This program aims to assist post-natal moms who need to pay more attention to nutrition than ever before! New moms are just as sensitive as their newborns. We will tailor a diet that meets your needs and the nutritional needs of your newborn, if you are breast feeding. 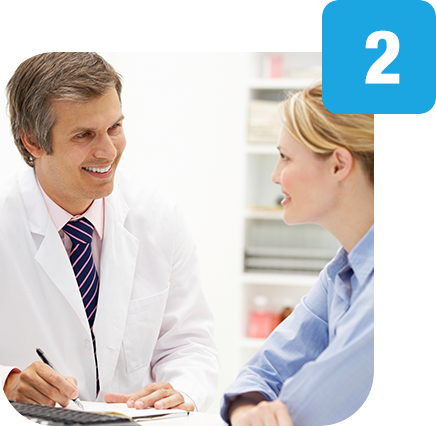 Depending on your custom weight loss program, you will meet one-on-one with a Practitioner for regular follow up appointments. At each visit, you will be weighed and your vital stats will be documented. These visits will keep you on track and accountable as well as help the Practitioner to regularly follow your progress and adjust when necessary. www.MedTeamWeightLoss.com, and any other MedTeam Weight Loss or MedTeam Protein websites are intended to provide information about the MedTeam Weight Loss medically managed weight loss practices, suggestions for a healthy lifestyle and dieting tips. This website is not intended to diagnose, treat or manage a patient's health or weight. It is suggested to consult a physician before making a decision about your health or weight loss plan. We require all potential patients to visit one of our locations to meet one-on-one with a medical practitioner during a FREE initial screening to learn if MedTeam Weight Loss can be a part of your weight loss plan. *Like any diet plan, weight loss results may vary depending on an individual's height, age, current weight or medical history. The MedTeam Weight Loss team of licensed medical professionals will medically manage your progress and overall weight loss success every step of the way.